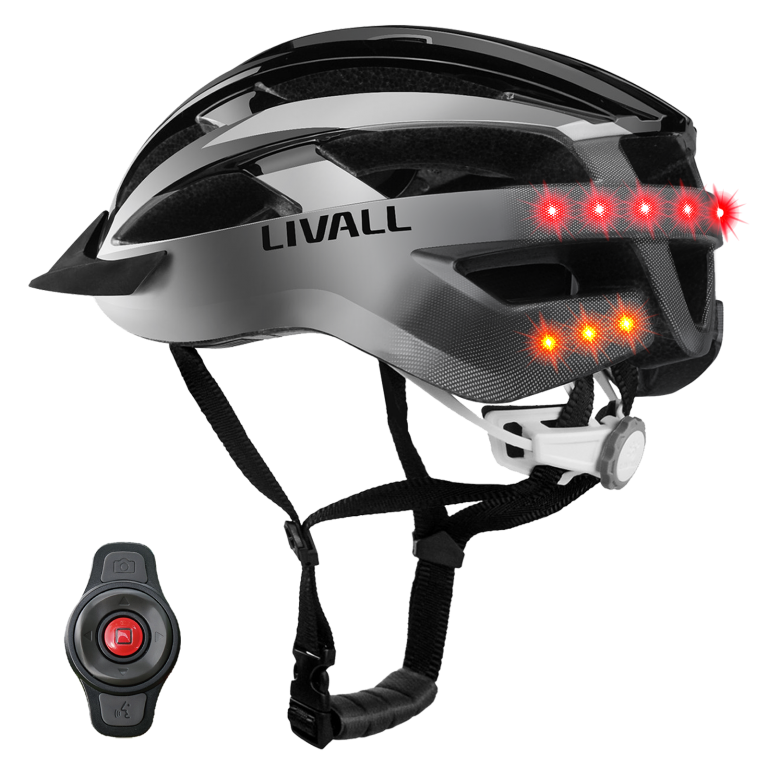 The LIVALL BH60SE is a multi-functional lightweight smart helmet that combines safety with connectivity. 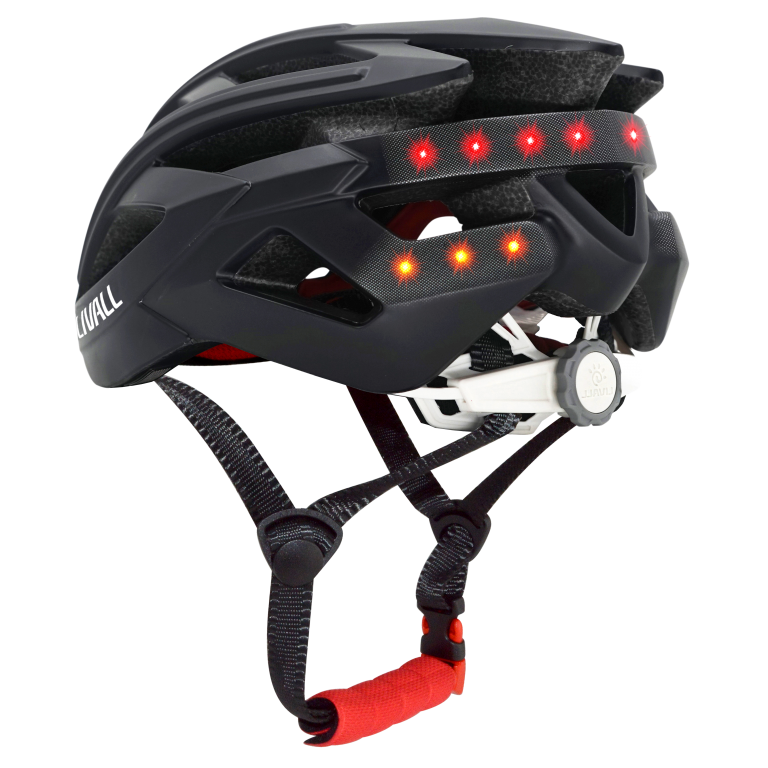 With concealed LED safety lights and indicators (only visible when activated), handlebar remote control, stereo speakers and Bluetooth technology to connect to your smartphone makes this helmet perfect for the modern cyclist. The x2 built-in Bluetooth stereo speakers and windproof hands-free microphone enable you to listen to music on the go, answer phone calls remotely, and hear GPS sat nav directions while being safely aware of your surroundings. 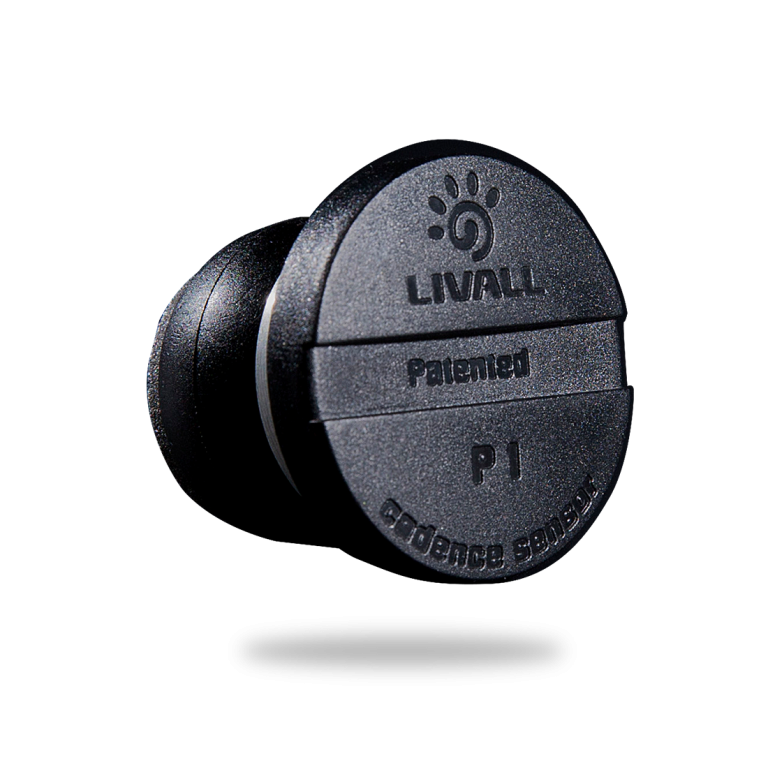 Making the LIVALL BH60SE even safer in the event of an accident the built-in 3-axis gyroscope activates an SOS Alert on your that is sent to your designated contact along with your GPS location. Peace of mind for you and your friends and family. The well-positioned bright LED warning lights warn traffic to give you enough space. 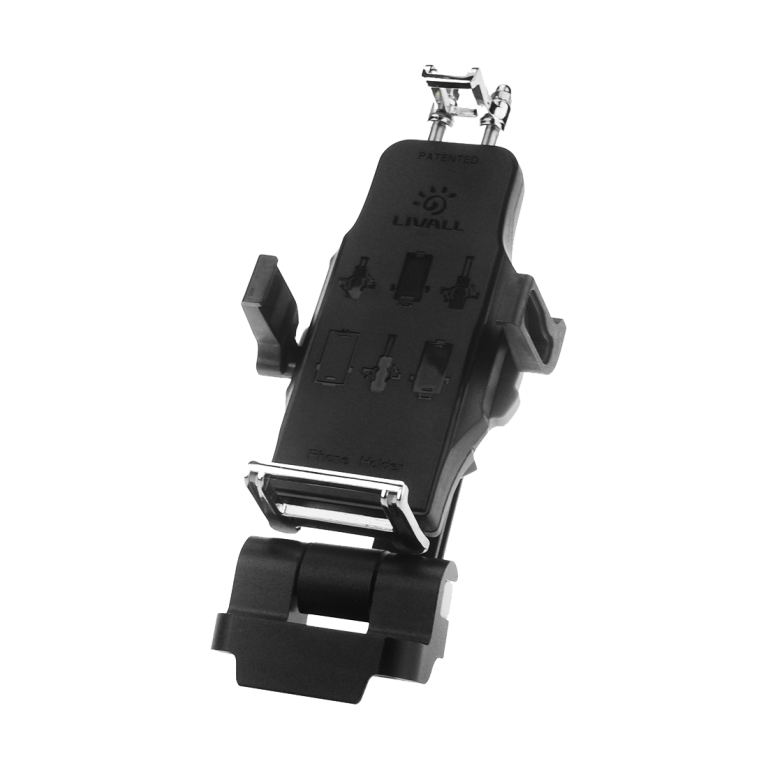 The turn lights indicate left or right turns more clearly to ensure safety and are controlled by the included handlebar unit. The two Bluetooth stereo speakers and windproof hands-free microphone enable you to listen to music on the go, answer phone calls remotely, and hear GPS sat nav directions while being safely aware of your surroundings. The speakers are built into the helmet above the and allow for ambient sounds (i.e. traffic) to be heard whilst listening to your music, call or podcast. In the event of an accident the SOS alert function sends the riders Google map location to their pre-selected emergency contacts. The helmet senses that the rider has fallen off their bike and a 90 second countdown is triggered, that if not cancelled will send the alert. Keeping family, friends and loved ones connected at a time of need, this is truly one of the safest bike helmets on the market. 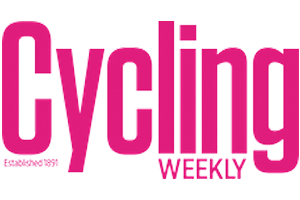 This feature requires the user’s smartphone to have GPS function enabled. Utilising the Windbreak Microphone and Bluetooth Speakers, you can answer or make hands-free phone calls on the go. The -39dB array microphone means that your voice can be heard clearly by the receiver even when you are riding up to around 60KM/h. Use the walkie-talkie function to communicate with your fellow riding team. Connection to Livall App through the internet is required (which utilises 4G data) to realise this function. 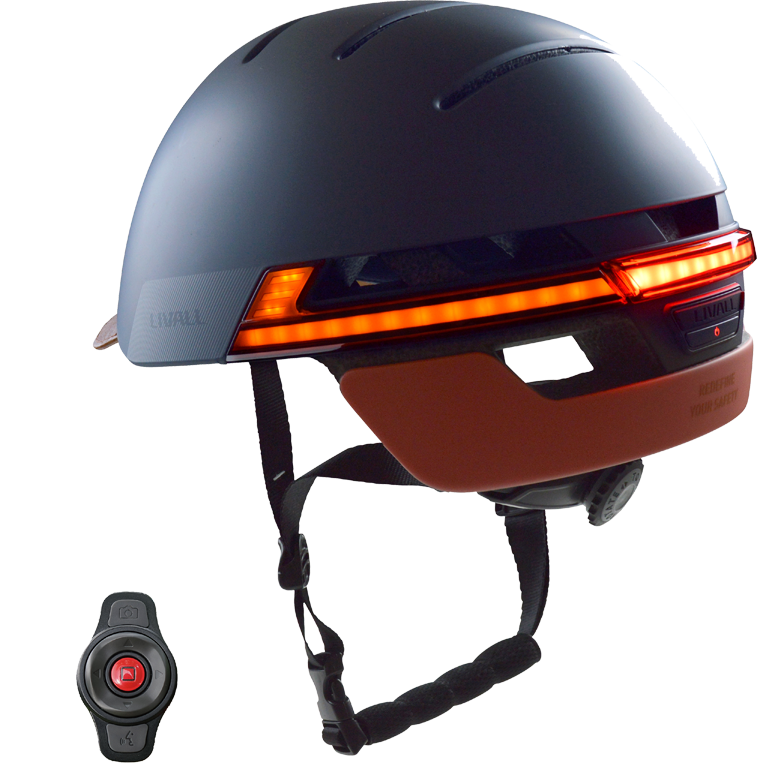 Use the wireless handlebar controls to use the functions of the helmet. Press either left or right to use the indicator signals and up and down to scroll through music. Use the red centre button to answer phone calls and press the lower button to use the walkie-talkie function. The camera button will take photos on your smartphone whilst being mounted on the handlebars. Phone mount sold separately.